A shaft of moonlight illuminated the face of the figure; it was a weathered portrait and skin sagged like old leather, of orange faded to brown. Straw-like hair arrowed downwards from under a black-rimmed hat. But it was the eyes that were the most frightening. The eyes or lack thereof one should say, were merely black hollows in the old leather, for the head of this creature was indeed a pumpkin; before them stood the scarecrow, Sinders. 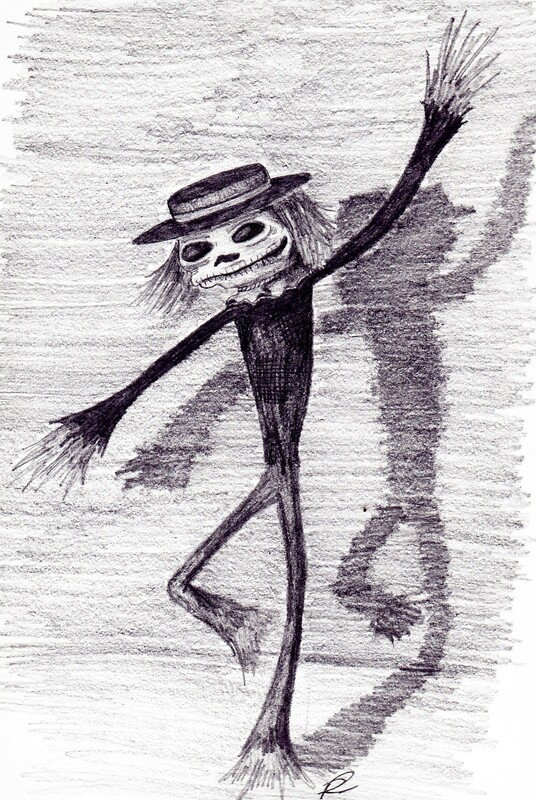 An enigmatic apparition, the origins of the scarecrow Sinders are lost to the night. The man himself chooses to torment others with an apparent abundance of wit and knowledge, but even that might be the work of a charlatan. Luckily for everyone else Sinders does not reside within Tenebrae Manor, instead living an isolated life in an ivy-choked shack deep in the forest.